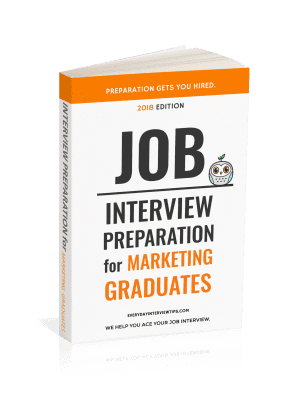 Every month, we at Everyday Interview Tips will sit down with a student, recent graduate, recruiter or hiring manager and ask them questions about their interviewing experience. Today we sit down with Sundara, a student at the University of Washington and future leader of the world. Sundara is an East Indian American that attends law school and works as a paralegal in a corporate law firm. I have only had two other jobs in the past, the first of which was a receptionist at a nursing home and the second being a receptionist at a tanning salon. What was your worst job and what made it so bad? My worst job would have been being a receptionist at a tanning salon. I hated cleaning the tanning beds after people had used them and the attitude I got from customers when situations were beyond my control. What was your best job and what did you enjoy about it? I loved my job as a receptionist at a nursing home. I loved helping the elderly because in my opinion I would want someone to treat my own grandparents as I treated the residents. I learned a lot of interesting things about life and patience from working there. I enjoy my current job as a paralegal as well but that’s mainly because I love the hours I work and being my own boss when it comes to completing projects. What is your opinion of the corporate world? How comfortable are you with it? I personally don’t like the pressure and work hours of the corporate world. I feel that my opinions of corporations are based on the experiences I’ve had with the few people that represent them whether that be someone on the phone or managing the chain. I can’t say all of them have been pleasant and based on the attitudes shown by certain employees I don’t think it would be a job I would be comfortable at or even feel content holding. How many job interviews have you experienced in the past? I’ve only been to three interviews all of which have led to employment. I try not to stress over them and just put my best foot forward. I work best under pressure and I portray an employee that I would one day want to hire. How would you describe your experience at your last job interview? I loved my last interview. My employers took me out to dinner which made it a bit more casual and comfortable. They asked about my hobbies and passions which in return allowed them to judge my compatibility with their company and capabilities as an employee. What is your biggest job interview strength? My honesty and quick responses to questions asked. If I don’t feel comfortable with certain aspects of a job I ask for clarification. I can’t be a good employee if I don’t understand or agree with what I am expected to do. What is your biggest job interview weakness? The fear of upsetting a perspective employer with my honesty. There are certain work ethics I hold strict to and I refuse to perform anything less than what I am expected and I can’t have someone micro manage me. 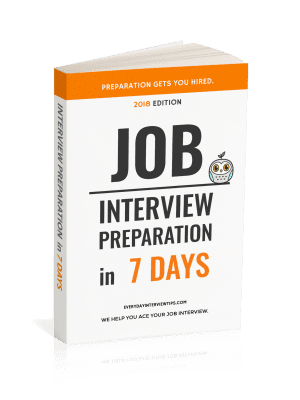 How did you prepare for your job interview(s)? Sleep and a good work out beforehand. You don’t want to be excited or lethargic. But rather you should appear well rested and motivated. If you could know one thing before a job interview, what would it be? I can’t really say. I guess I go in expecting difficult questions. I believe those abrupt questions allow an employer to determine how well you work under pressure and your quick thinking skills. To finish schooling and eventually open up my own law firm. As for now I just hope to perform my given tasks to the best of my ability and to help more people than I disappoint. If you could give job, career, or interview advice to recent college graduates, what would it be? Most people out there are going for the same jobs you are. Thus you should try to throw in something that sets you apart on your resume. If you like running marathons, hiking or any other hobby or passion you might have you should list it. It makes you stand out and shows that you’re personable.